Joanne Witty has had a long and varied career as a lawyer, environmentalist, political activist, and author. 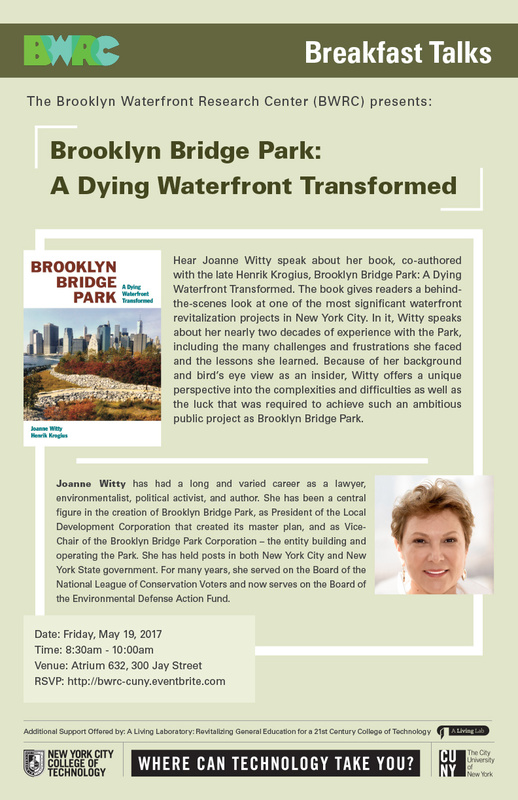 She has been a central figure in the creation of Brooklyn Bridge Park, as President of the Local Development Corporation that created its master plan, and as Vice-Chair of the Brooklyn Bridge Park Corporation – the entity building and operating the Park. She has held posts in both New York City and New York State government. For many years, she served on the Board of the National League of Conservation Voters and now serves on the Board of the Environmental Defense Action Fund.